Made by Watt, William in England, 1867-1880. Sideboard in two parts. The base is stained oak with a rectangular top and hinged side flaps above a central frieze drawer and two short drawers that are flanked by two cupboard drawers above open shelves. The whole rests on square section legs. There are iron strap hinges and brass handles throughout. The top of the sideboard has two cupboards at either end with quartered panelled doors. The cupboards are joined by a shelf and set in exposed framework with vertical members extending above the cupboards and below to the top of the base. 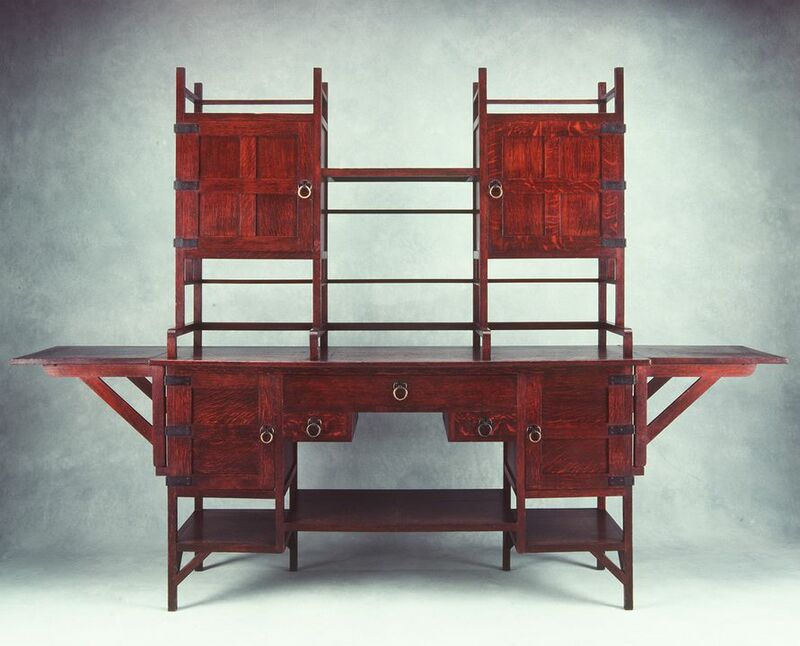 The sideboard was designed by Edward William Godwin and made by William Watt in England between 1867 and 1880.